Bitterness is something that can consume us. It is a feeling and a mind set that can turn the brightest day into one that feels dark. But there is a man in the Bible that had every right to wallow in his bitterness but he chose not to. Instead he kept his eyes fixed on the Almighty Father, and it made all the difference in the world. This man is Job. It is easy to miss the right perspective when you are reading the Book of Job. Unlike a Bible book which teaches doctrine, Bible history, or Psalms of praise, Job is a bit unique. It is a struggle between how the world sees the situations a believer’s life, how the Lord sees it, and the believer himself. In my daily reading Job was a book that I did not look forward to reading, but recently this has changed. If you can seat your mind with the Lord and read each verse and line with the thought that God knows what he’s doing the Book of Job helps to show how to overcome bitterness. This thick book of the Bible with 42 chapters is mainly dialogue that is spoken by Job and three of his ‘friends’. (Instead of friend job calls them miserable comforters, and I have to agree…) But the right perspective of this book is really a triumph of a Christian overcoming bitterness– in fact he remained bitter-less when he had every human reason to be bitter. The definition of bitterness in the Webster 1828 Dictionary is: (1) in a figurative sense, extreme enmity, grudge, hatred; or rather an excessive degree or implacableness of passions and emotions; as the bitterness of anger. When I teach Sunday School in our Independent Baptist Church, Headwaters Baptist Church here in Manhattan, Montana characters like Job are ones which the children need to learn of at an early age. Secondly, Job never lost his confidence in God’s ways. (Job 23:23-24). God knows what’s best for our lives. Thirdly, he never lost his fear of God. Proverbs tells us over and over again that the fear of the Lord is what brings us wisdom and good decision making abilities and this would include deciding to maintain a good spirit in the midst of bitter situations. Unless you are a born again Child of God you cannot access the Lord’s help to overcome bitterness. A child of God has supernatural help through the Holy Spirit. So salvation is the first step in dealing with bitterness. You must realize that within yourself there is no good thing. Romans 3: 23 states, For all have sinned and come short of the glory of God. We all have sinned. But there is a remedy for this sin as Romans 6:23 says, For the wages of sin is death, but the gift of God is eternal life through Jesus Christ our Lord. And then accepting this free gift as shown in John 3:16 For God so loved the world that he gave his only begotten son that whosoever believeth in his should not perish but have everlasting life. Once you are a child of God then we have his word and other believers to help us. If you have a heart full of bitterness that is what is going to come out. Bitter words, bitter actions, self pity, are all symptoms of a heart that needs to change. By God’s grace that can happen. I would recommend beginning to read in Mark chapter 1 and also Psalms chapter 1. Read through the entire books. By reading these two you have the balance of the story of Christ and also the joy that is unmistakeable in the words written by King David. David was not perfect, but he was a man after God’s own heart. Whenever you are cleansing a wound fresh clean water is run over it. When dealing with bitterness you need an abundance of the fresh clean water of the Word of God to pour over you. Read, read, and read some more. Take you Bible with you and read in the doctor’s office, at lunch break, and when you are tempted to sure the internet in the evening. Be careful who you spend time with. Bitterness loves a depressing companion. Job hated his ‘friends’ counsel. He kept calling out to the Lord instead. Even his wife was against him. (Maybe she should have had some Christian dating advise before marriage . If you have people who are drawing you back from your walk with Christ, then tell them to cheer up or find someone else to depress. YOU need joy. Job’s friends were religious, but they were not on target. They felt they had a similitude of godliness but they missed the working God was doing in Job’s life entirely. Job is not a book we as believers should dread to read. Instead it is amazing to see how even in the first few chapters we see a glimpse into heaven. Satan is the accuser of the brethren and there he is, right in the throne room of heaven, accusing an amazing Christian before the face of the Almighty God. Have you ever mussed about if Satan has ever brought your name up before the Lord? I have. When you stand for what is right do it in joy, not in joyless duty. The Book of Job is a triumph of the believer in the face of disastrous situations. Remember, when people discourage you they don’t know what the Lord is doing in and through your life at that time. Focus on the Word of God. Get into fellowship with joyful believer’s. And remember, God understands even when no one else does. If you are someone in the Bozeman Montana area that is struggling with bitterness feel free to give us a call. We are here to help and want to see people gain a victory over their trials. 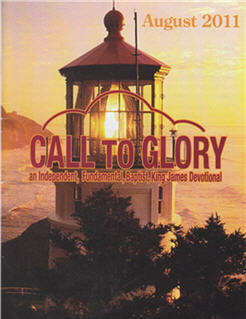 We would like to give a special thanks to Pastor Dale Schwarz for allowing us to reprint is article.